- 925 sterling silver and zircons. - 18 carat gold filled on 925 sterling silver with zircons. - You don't need an extra piercing for wearing them. If you have two piercings in one ear, you can create a singular look by putting the regular earring on the bottom and just the stud earring on the upper piercing like on the 3rd or 4rd picture. 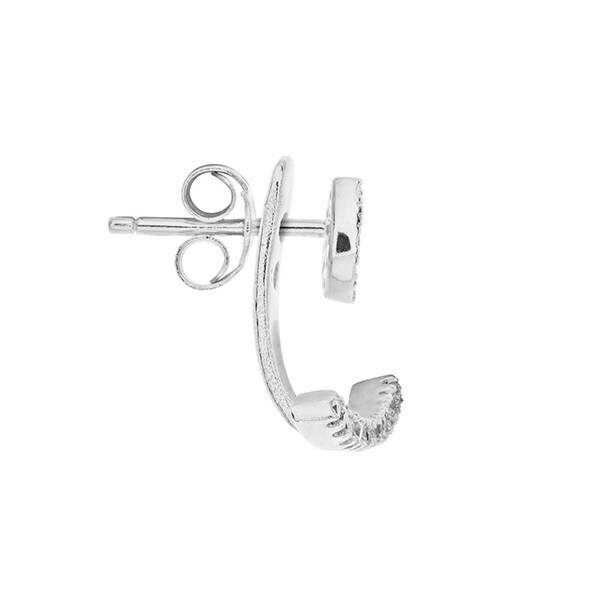 These front back earrings are formed by an earring in drop shape with snap closure and with other piece which is situated in the back of the ear from where a bar comes up in the front down side of the earlobe. 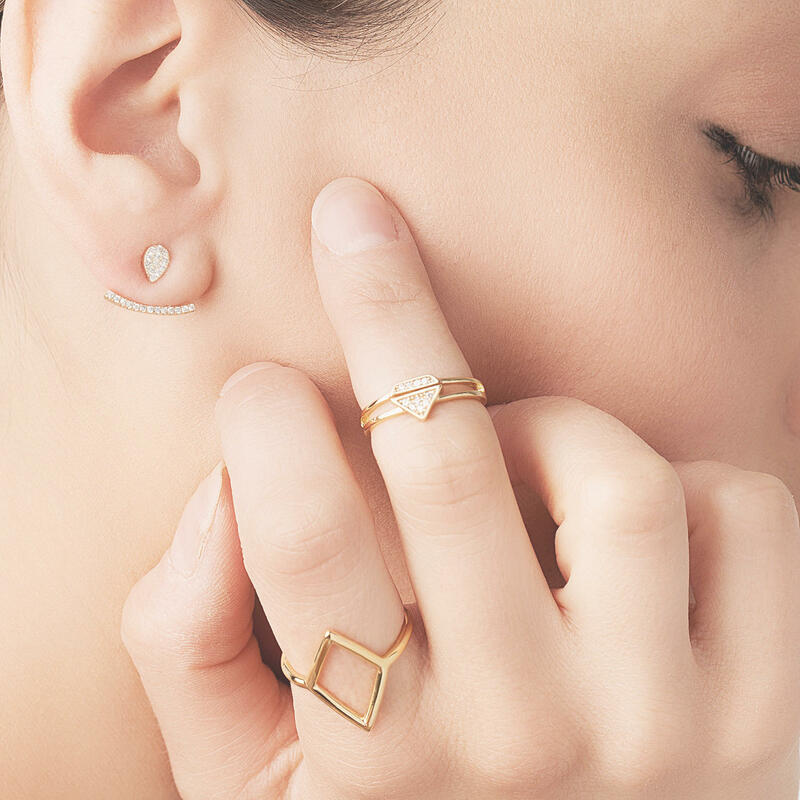 If you have two piercings in one ear, you can create a singular look by putting the regular earring on the bottom and just the stud earring on the upper piercing like the picture. 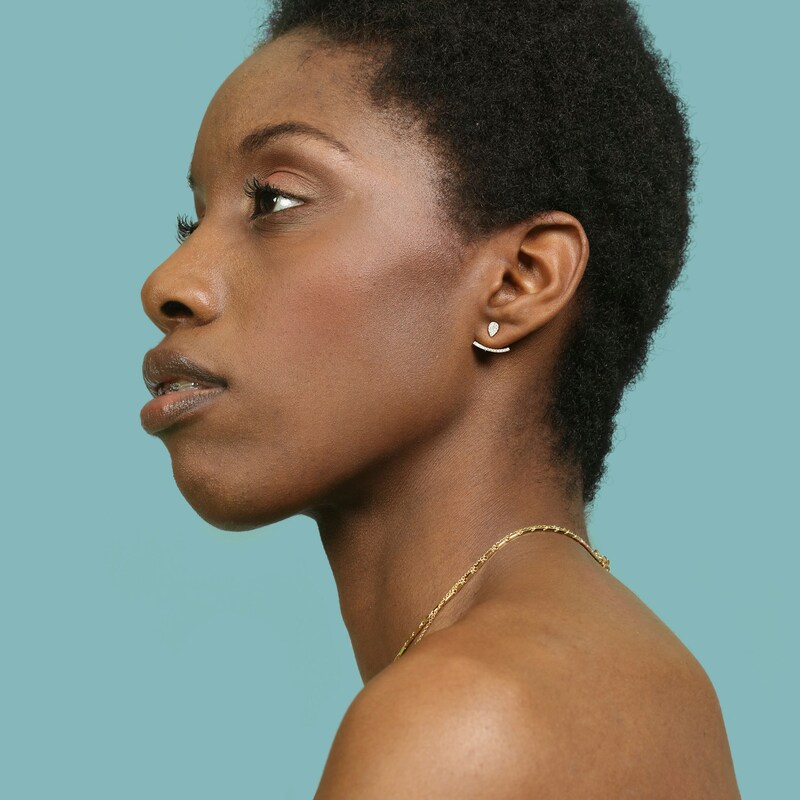 These are original front back earrings for women with a smart and minimalist style. 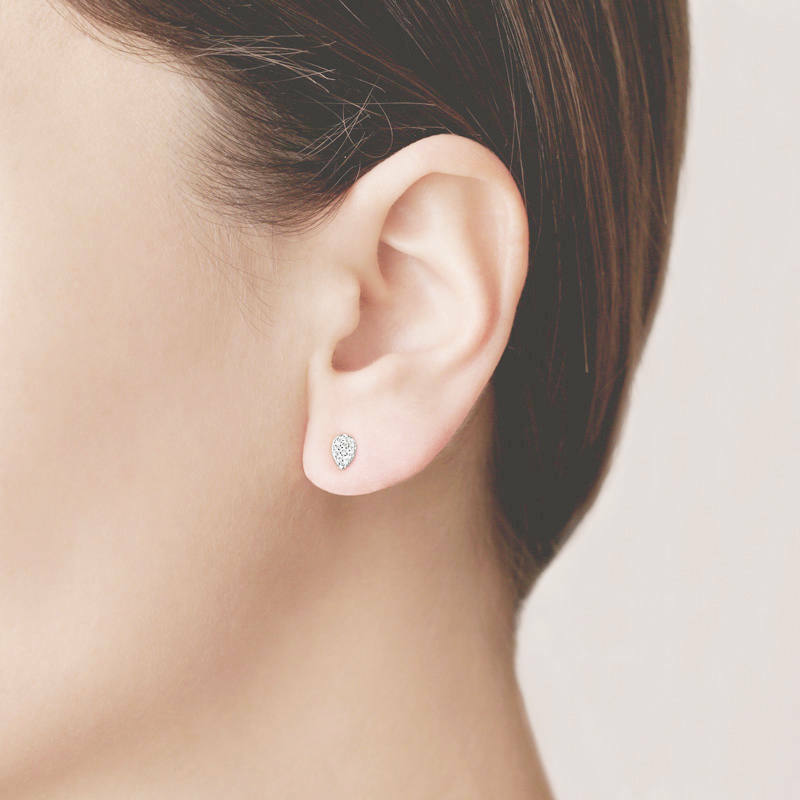 The size of the silver Ear Jacket can be adjustable because they have two holes, one on the top side and in the down side, so that you can adapt to you. 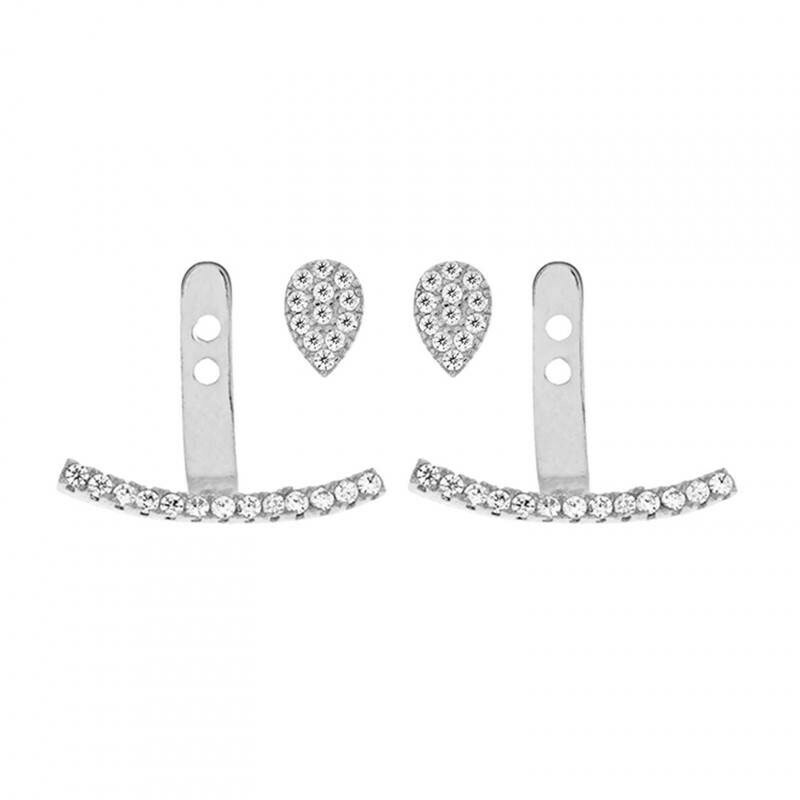 These are front back earrings created for modern and cosmopolitan women who like following last trends. 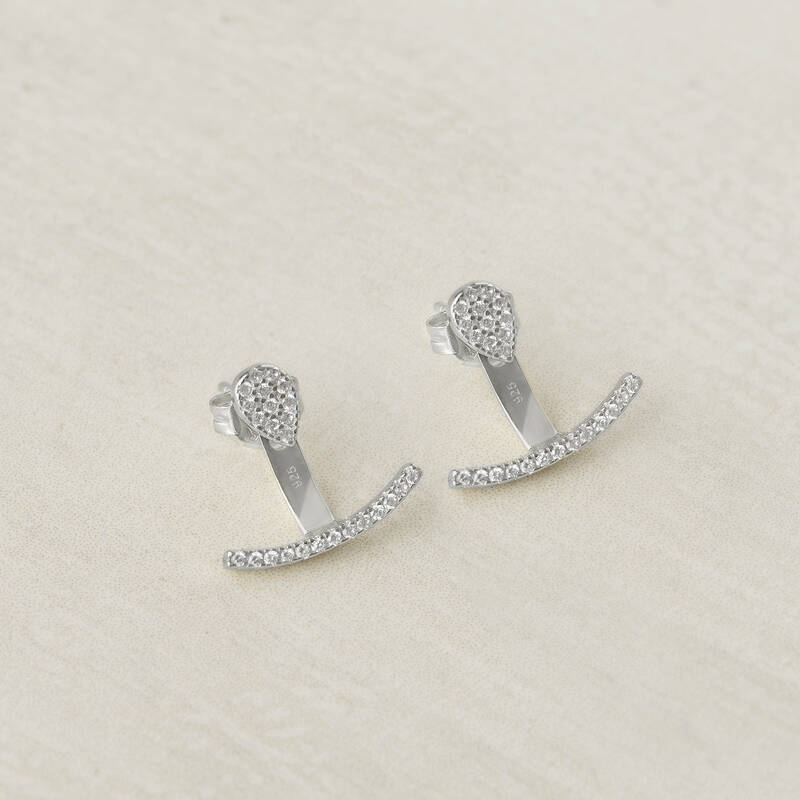 Super cute earrings. Great Customer Service. Overseas shipping flawless. Great Communication. 5* seller. Thanks so much.